Sometimes I am amazed at how awesome groups fitness is. I will tell you, internal dedication and motivation are key to success. You have to want to be out there living a healthy lifestyle. 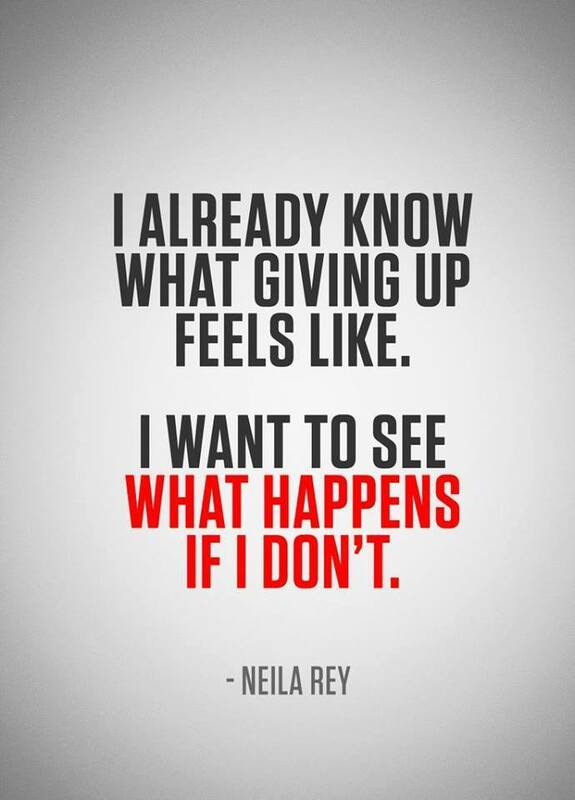 BUT there will be days that you just don’t want to! It is substantial easier to stay on task with outside accountability. When I started to evolve my lifestyle to incorporate running, I hated it! Like REALLY hated it. But I committed myself to running a 5k and that was what I was going to do! I mean really how much of your time does a c25k program take? Once I finished that 5k, although I had the race high, I immediately reverted back to my old non-runner way of life. My father-in-law was so excited to maybe have someone to run with that be kept asking me to go out with him on the trail. I finally gave in. This is a man that does sooooooooo much for me! My husband’s family is a constant stream of solid support and love. I decided to make him happy and join him running again. 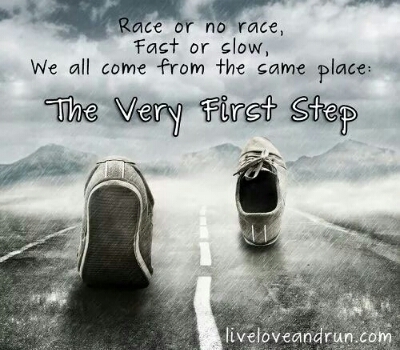 Outside accountability caused me to re-lace up my running shoes. Over the next several months he started hounding me about going up to the track and trying to befriend a group that runs up there every Tuesday. I am an introvert by nature and not one to go out of my way to awkwardly meet new people. But finally he beat me down and I started to try. I didn’t know it then, but ultimately this group became an important missing component in my life. I went from having a couple close friends to having bunches of them! All athletes. All utterly amazing. All incredibly supportive and inspiring. That was 3 years ago! Now these girls represent a critical part of my life. Always encouraging me every year to push myself harder and further than the year before. Etc etc… I’ll tell you what… without them I would never have kept going! If you are a solo runner, I completely understand! There is a beauty to the quiet peace of doing things on your own. But, sometimes having someone to hold you accountable adds to the many benefits of being an endurance athlete! Sometimes it amazes me to think about how much different my life was 3 years ago… but I know enough to say THIS life is it for me. I’m hooked and will run as long as my legs will let me. Night all! Stay encouraged out there. 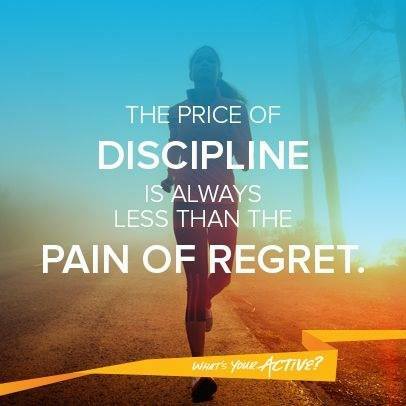 If you are thinking about doing something new.. whether it be a couch to 5k program, transitioning to triathlons, or some other crazy adventure in you life. Do not be intimidated! Even if everyone around you seems to have it together, everyone had to start from the beginning! The last few weeks have been crazy busy with work, kiddo, training, life… but extremely fun and totally worth the effort! 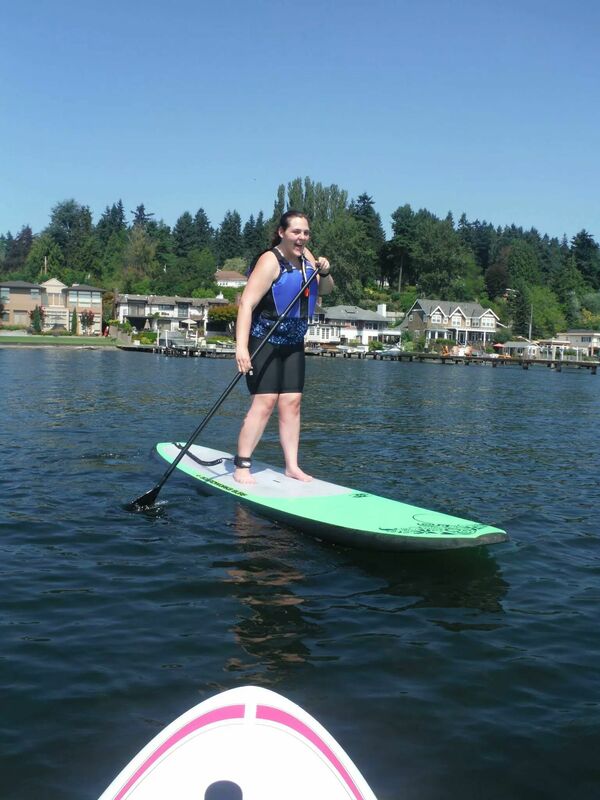 First up – I went Stand-up Paddle Boarding for the first time. Out of the group of 6 that went, I was one of the only two that didn’t fall in. Go me! Mostly because my tactic was not to move to much… lol – my feet hurt a lot by the end, but overall, I’m addicted! 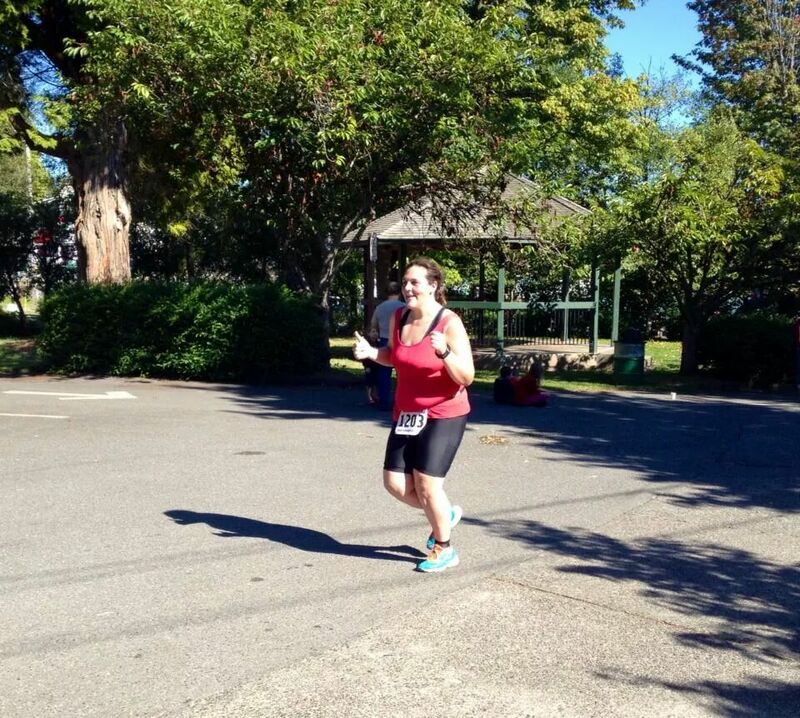 Yesterday was my triathlon. I was planning on doing a super sprint (.25 mile swim, 9 mile bike, and 1.5 mile run) and the week before I had all but decided to not do it. I hadn’t been training well enough and wasn’t confident about it. Swim – my arms ached so bad from my strength training on Thursday. It literally hurt to rotate them… This was miserable! Luckily it is the shortest leg and I finished in around a pathetic 17 minutes. Bike – the bike was the hilliest ride i had done this year and what I was most afraid of. It ended up being ok and the most enjoyable leg. I finished in around 45 minutes and made it up some pretty challenging hills for my poor untrained quads. But I survived and it was beautiful. Run – ok this run stunk! I didn’t even think about the run course before I decided to do this… but maybe I should have. By the time I hit the run it was hot. There was no shade. It was hillyyyy. So it was me, the pavement, hills, and the blazing sun. I finished in about 40 minutes which I deem a great accomplishment. Overall I finished in about 1 hour and 48 minutes. I got under 2 hours which is what I was hoping for. I competed in Athena and was solidly middle of the pack for that group. Next year I’ll stand a good chance of stomping those girls if I do this race again. Which I would certainly consider! On the weight loss front, I shot back up to 230, but am confident I’ll be around 227 again tomorrow morning. Also I fit back into my favorite pre pregnancy jeans last week. Just goes to show you, weight isn’t as important as muscle tone. Well all, that is all I have for you today! 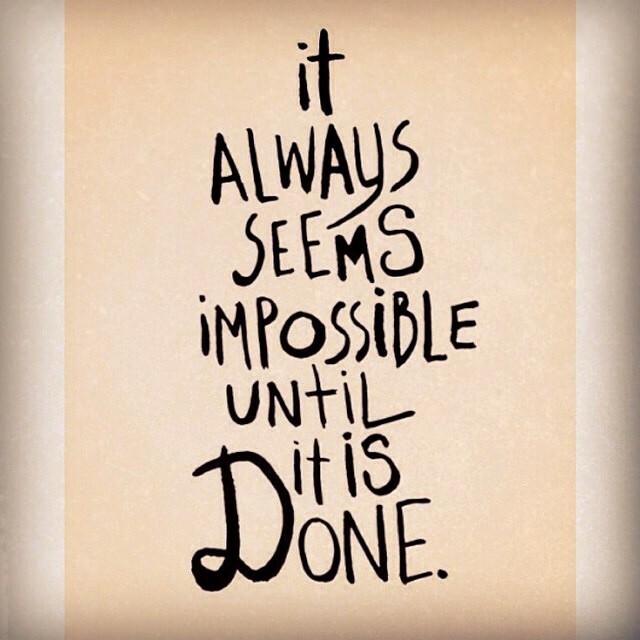 Keep trying and stay focused on your goals! It has been a busy week but overall pretty exciting for me and my training. Weigh-in: I gained a bit back coming in at 229 last Monday. 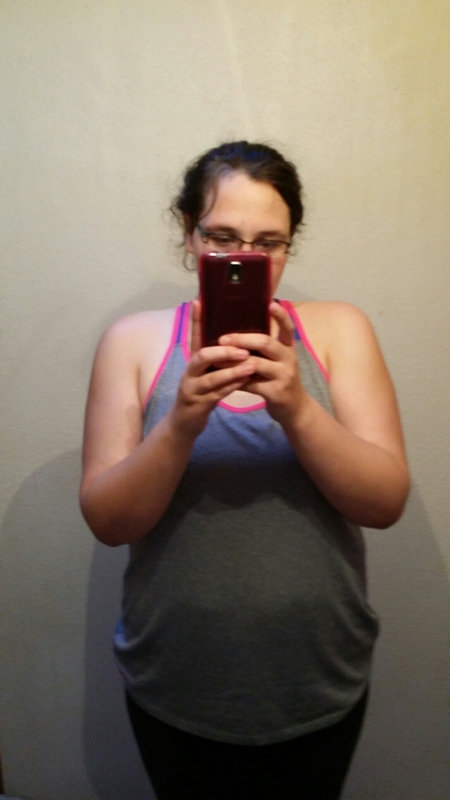 Oh well, we are still under 230 – so I feel like I am making progress! The week before I was kind of slacking all around. Even though I didn’t see improvement in this area, I felt like a winner in other areas. Coaching: I decided to bring my coach back on in September! She is going to help me train for hopefully the Seattle Half Marathon at the end of November. I am scared and excited to be working with her again. On the one side, I am glad to have someone to help hold me accountable so I stay on track and hopefully see some results this year. BUT at the same time… no more slacking, “because I was feeling lazy and wanted a nap” is not a good excuse for her. Lol – Overall, I am excited! 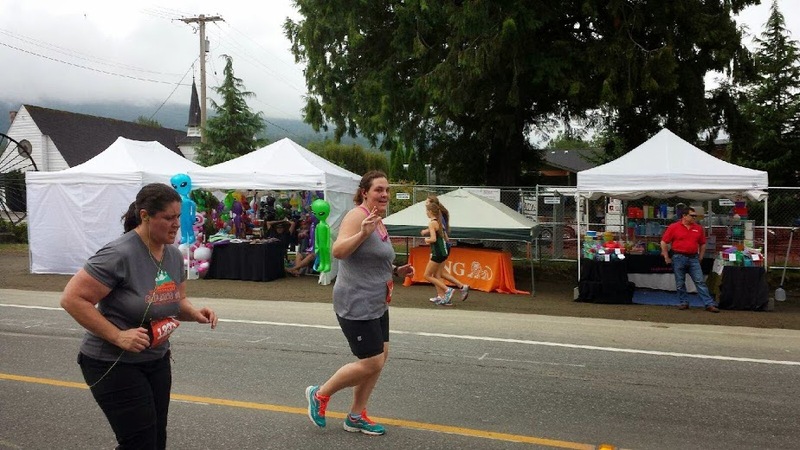 First 5k back: I finished my first 5k back last weekend. 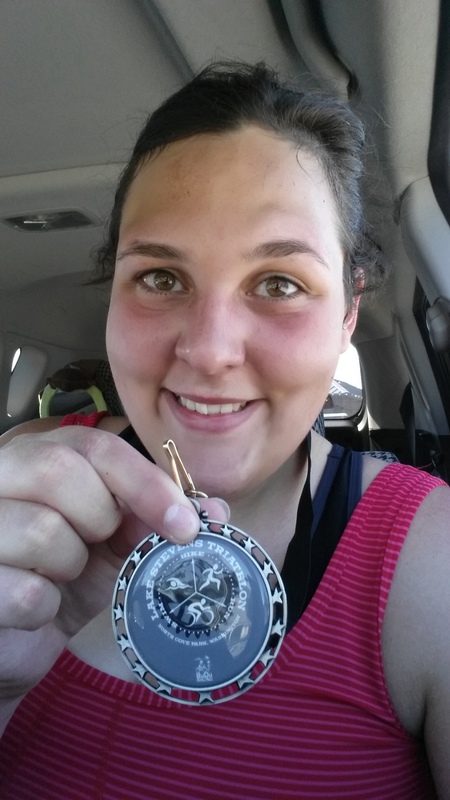 I finished in 37:02 – this is officially my slowest 5k run. But there are some pros that offset the negativity in my mind over my time. I did not walk a single step! This is a solid, consistent 12 minute mile pace – which considering 3 miles is a “long run” for me right now, this is good! Overall, not too shabby! Not sure when my next 5k will be. I have some races on the schedule and in my mind, but all are longer distances. Maybe I’ll wait another 6 months for a 5k so I can feel good about blowing this time completely out of the water!! 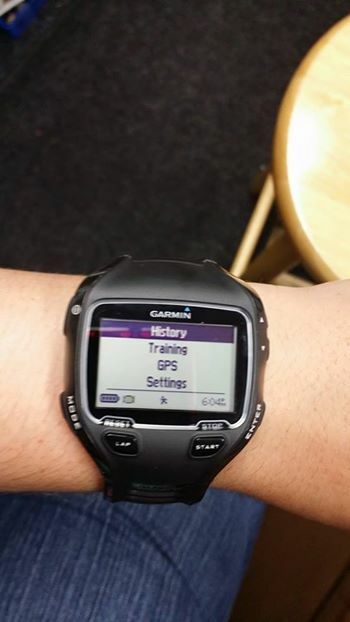 Garmin Forerunner 910: SO I sold my Forerunner 210 last weekend and picked up a new baby, the Forerunner 910! If you are unfamiliar with this watch, it is the multisport one. So far, super impressed! I have only used it running so far, but I am going to get it out for a swim this weekend. Preferably open water, then I can see how far I have actually been swimming out at the lake. 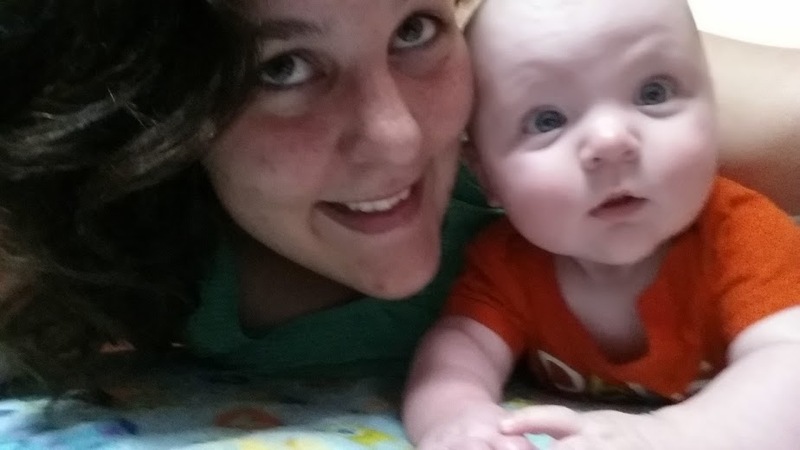 BABY: My baby hit the 5 months mark this week. It is so crazy how quickly your life can change. 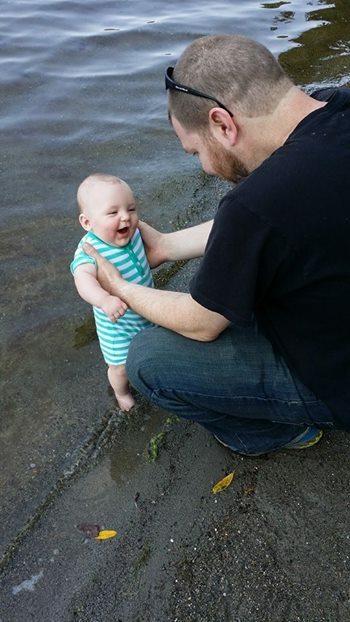 5 months ago, he was in my tummy, then he was just a blob and 5 short months later he is on the verge of crawling. He can scoot backwards pretty good now, I think by 6 months he’ll at least be army crawling around. Time flies so fast!! I have been so good getting exercise in every day for the last week – but I think it is finally time for a rest day. My body is still pretty out of shape and I have been relentlessly on track over the last 7 days. Seriously, not too crazy by a lot of people standards.. or even by my standards for that matter – but considering this is still a building up phase, I need to scale it back and give my muscles a chance to recover today. 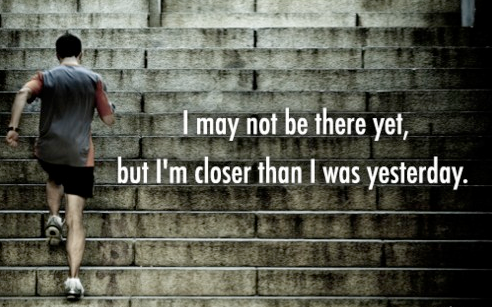 This week, I am going to continue to step it up, considering my Super Sprint Tri is 4 weeks away. I only have 3 weekends left to train. I think this tri, although short, is going to be a bit of a challenge for me. But a challenge will be good for me! Plus it is a pretty newbie friendly tri so there will be quite a few slow people with a whole bunch of race support. As long as I am not last, I don’t care about time for this event. My original thought was to go out for a 5k distance. I have my first 5k coming up this Saturday, so I wanted to make sure I was capable. BUT – I forgot how lovely it is when you feel good and when the temperature outside isn’t 1 million. So I kept going. My legs were a little angry by the end but all in all, they felt pretty dang good! I have been working pretty hard on bringing my leg strength back, they seemed up for the challenge, and they held up well! I am officially signing up for the Seattle Half Marathon in November. One good run was all it took! I love running and it had been so long since I felt that good, I think my body (and mind) are really calling for the challenge. For this walk I took baby out with me. He really loves the jogging stroller and I am working to build up his tolerance for it. We just walked two miles… I was originally going to run, but on the heels of a 4 mile run the night before, I decided to take it easy while still loosening up my sore muscles. We got out there with his grandparents. His Grandma walked with Baby and me, while his Grandpa got in a 4 mile run. 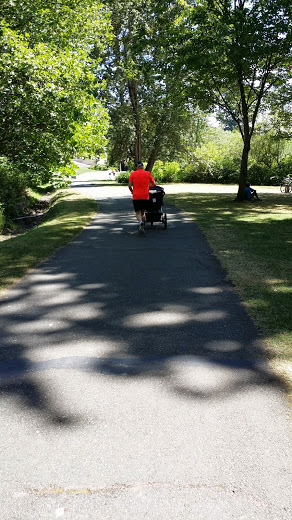 Towards the end, his Grandpa decided to run him a short distance… he swears he heard a “WEEEEEEE” coming from the stroller. My baby may have a need for speed!! This was my first ride of the season – on the trail, completely flat – held about a 13mph-15mph pace. Positive splits. Not the best ride out there and my quads were BURNING. This portion of my training, I need to kick up a notch. New plan will have 3 days a week biking for at least 30 minutes. 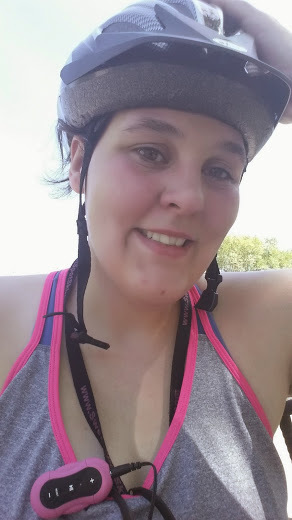 Post bike, I was pretty tired for 12 miles. My legs have spent most of the week sore, but I did do some work here. Here is the 10 minute workout I did with that. Just a little bit to get the blood pumping, but not too time consuming. PLUS I LOVE my BOSU ball! I did about a 10-15 second rest between each exercise. 50sec – V holds on BOSU – This one is HARD! I DO have to hold the back of my legs a little bit for stability. I was sooo happy to see some progress this week, although – I need to take some measurement and see if any of this work I’m doing is paying off in toning. Well last week I was certainly in a Miss Sour Pants mood, this week is MUCH better! Probably because of exercise!! The cure all for a plain bad mood. Soooo… I am failing here! – I did it for two days and then stopped, BUT I am getting back on the wagon today. I think instead of following the daily HIIT routines posted online I am just going to do a couple BOSU workouts that I put together. Tonight I have my normal bootcamp at the gym, but I’ll be doing my own BOSU stuff starting tomorrow and I’ll post my routines up here, with possibly some variations for people who don’t have a BOSU ball and want to try it. Seriously though – after BOSU bootcamp last week, I am super excited to do exercises with mine! I’ll probably pick up some resistance bands too to incorporate. Triathlon training is going good this week actually! I am going to start incorporating a pool swim on Thursdays after bootcamp – tonight will be my first night trying to do that. We’ll see how exhausted this makes me! 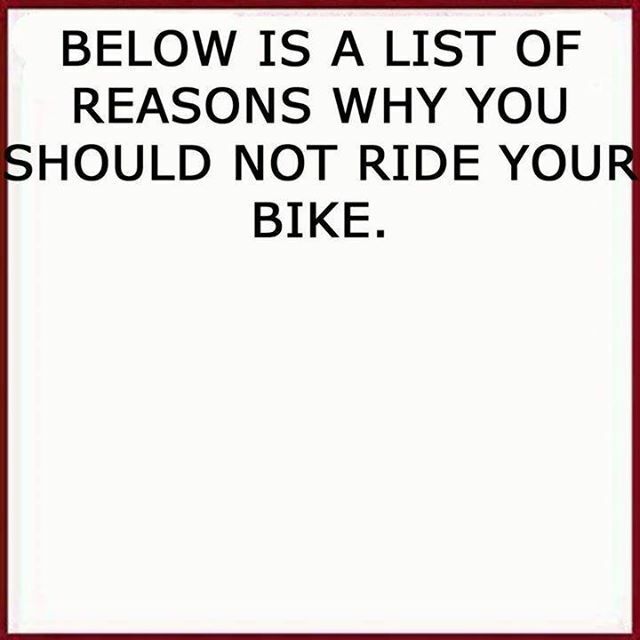 BIKE – Ok you caught me… I have yet to hop on my bike this year. Tri training and no bike riding? Yeah I know! I’m bad. But let me fill you in on the triathlon I’m doing this year. It is a super sprint. So the bike is short at just 9 miles. I’m hopping on my bike for the first time this weekend and I am going to attempt to bike this triathlon course. It is a two loop course, mostly flat, with one small hill. I figure at the very least I should be able to one 4.5 mile loop, if I can’t do that… I’m in trouble!! (In more ways than one!) – but hopefully starting in two days I’ll get the bike portion going… the tri is still about 6 weeks away… working up to 9 miles in 6 weeks should be pretty doable! RUN – Running is actually going the best. No surprise there, running was my first and true love. On Sunday, I was able to run 2 miles straight without stopping. Mile 1 – 13:10, Mile 2 – 13:30, so we are still on the slow side but who cares? I have a 5k in a little over a week and my goal is just to run the whole thing. I could do it as slow as a sloth and as long as I don’t walk, I’ll be happy with the effort! It was pretty doable and I did the whole thing.. minus the half mile warm up and cool down jog. I walked .25 miles each instead for that. It was blazing hot!! I keep thinking getting my groove back would be so much easier if it was December! 🙂 But alas, it isn’t, and there are races to run! Your don’t want to know. 🙂 I AM try to be better about food. Technically not trying that hard, but this has got to change. It just makes it hard! For breakfast and lunch I am working to get better. But I really do miss some good healthy dinners! As of now, I just got to try to make the best out of this situation. We are moving in about 2 months, so once I actually have a kitchen again, this blog will include more food oriented things. Baby is cute and I seriously love being a mom! He is already almost 5 months now, I can’t believe it!! Well hope everyone is having a good week! 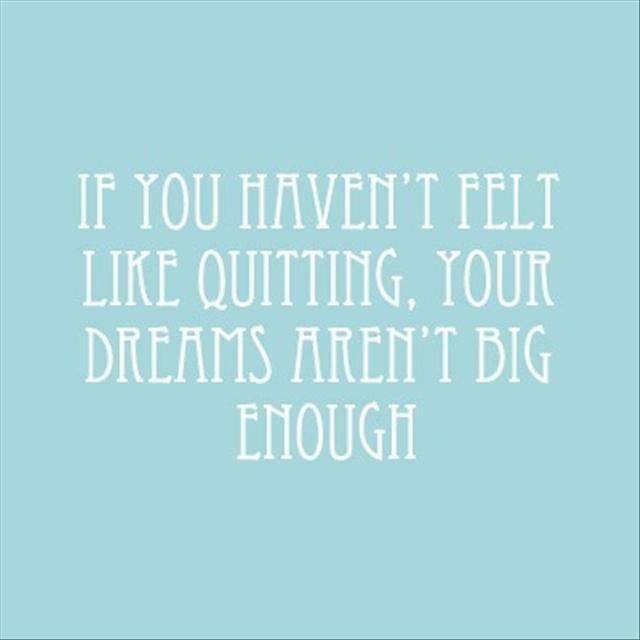 Remember to keep working towards your goals! Some days will be a struggle, but just keep moving forward! 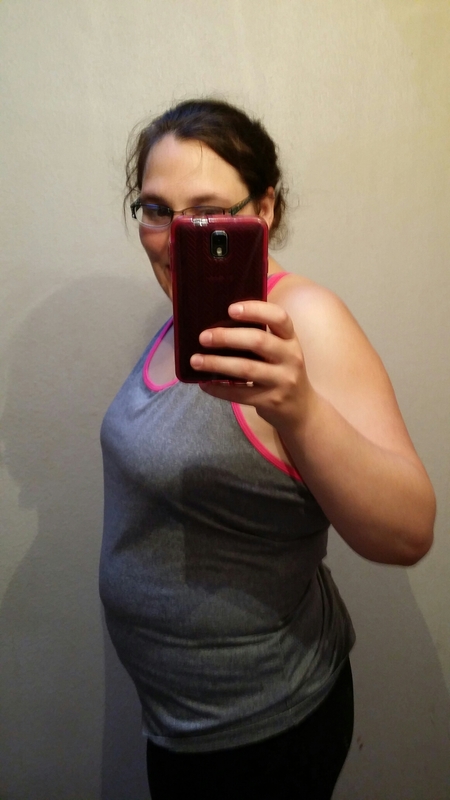 New body shots and my August challenge! Here are some new body shots for everyone. As you can see I am sporting a bigger belly than before, but that is expected. I’ll get these added to my photo timeline tomorrow! I have not been back into my plan as much as I would have liked this week, but I did make it to strength training class tonight. Since our gym where we usually do trx is smoldering hot, we ended up switching locations and doing a Bosu boot camp class. My body is burning!! Although, since I actually have a Bosu ball still in the box, this class encouraged me to take it out and blow it up. Now I know a bunch of things I can do with it. I am a little excited to use it on my own. Stay strong and work up a sweat.